Post retail for me has been everything but, post retail. Quite frankly, I have had a ball getting to know retailers from around the world as we together, seek new strategies that will allow us to survive while becoming increasingly relevant within our communities. In this, I have been fortunate enough to have the time to dive into the world of both social media as well as community involvement. When these two worlds come together… action happens. This past December, I had the wonderful opportunity to work with Dr. John Sowers and Donald Miller in helping them get their twitter feed for the Mentoring Project on the map. They were running a campaign to raise both awareness and funds for this amazing organization that focuses on the need for mentoring children. We took one tweet and linked it to their website. We asked a few influencers to re-tweet this to their twitter followers. In the end, less than 12 hours later, the tweet was sent out 18 times, which resulted in the potential of over 30,000 twitter views. It also resulted in over 1,000 hits to their website within that timeframe. Even to a novice, those numbers speak volumes at the potential of this new media tool. I recently also had the opportunity to work with the great folks at Hendrickson Publishers on their Fire Bible. In this, they brought me to Tulsa, Oklahoma to attend the Empowered 21 Conference this past spring. I had been working Facebook, Twitter, and You Tube for the Bible, but this was an opportunity to truly test the power of grassroots viral campaigning. Once again, the results were astounding. The conference lasted 2 1/2 days and attracted 10,000 attendees for the various workshops, coupled with the morning and evening general sessions that included the excellent live music and powerful speaking messages. Our strategy was simply to engage the community. In this, after 2 1/2 days of primarily Twitter engagement with other attendees using Twitter at the event about the event, we were blown away at what we found. During that time period, we sent out 140 Twitter messages. Of those messages, only 7% of them were about us, or to come visit us at our booth. The rest were focused on engaging both the community of users, as well as the event as a whole. At one point, a tweet went out by the event promoters telling Twitter users in attendance that if they wanted to know what was going on at the conference, that they should follow the Fire Bible on Twitter. Some of our tweets were simply re-tweeting others and their tweets about a workshop or a quote from the general session. Other tweets were simply pictures we were taking of the event, in action. And yet, other tweets were simple comments about our experience at the event. In the end, those 140 tweets reached 9,600 people with potential viewer impressions of over 20,000 people. Again, not too bad for this new medium. Ironically, we watched another group at that same conference engage in a tweet strategy that unfortunately seemed flawed from the start. What their strategy reflected was a “ME Strategy” in that they sent public tweets individually to everybody using Twitter mentioning they were attending the conference. The result was a line of tweets from their feed that was simply cutting and pasting the same message of “come see us at our booth” over and over to different people. Interestingly, after that first night, I never saw another tweet from them again the whole conference. With all of this to be said, I have been fortunate to stumble upon several lessons with using these new tools. For me, being so rooted in using traditional media to reach my audience, I have found that to truly embrace and effectively use these new tools, I needed my mindset to be adjusted. I need to embrace the fact that the simple difference between this new media and traditional media is that this new media is a dialogue, not a monologue. To understand this, one needs to adjust their mindset to get into this game. What I am about to share with you are simple guidelines that I have found that if implemented patiently, authentically, and whole-heartedly, one will find a whole new world standing before them, waiting to be discovered. The 5:01 strategy is in a sense, a plan that is developed and put into action that is aimed at building a sustainable relationship with customers in between their store visits. If Joe Customer makes a purchase on a parenting book at your store and leaves the store at 5:00, what happens with Joe Customer at 5:01? In this, how can we use social media to engage Joe as to best enhance his experience with both us, the retailer and the topic of that book he purchased? In developing such a strategy, it is no longer just about the experience in the store, but the experience the customer has with your brand, after they leave the store. This is an area that I would love to see more tour events embrace. It’s difficult enough to come into town and put on a show, but, it’s what is sustainable about the show that makes the show truly a positive impact for the lives of all those who attended. How can you use social media to reach out to your customers at 5:01? The New Oxford English Dictionary word of the year in 2009 was unfriend. And, if you are not new to places like Facebook, you will know exactly what that means. With email, recent statistics have shown that 90% of email is now spam. Just one look at my junk mailbox is all the research I need to validate that stat. With social media, spam hasn’t gone away. That’s just what we called it in the old world. Now, it’s just wearing a different costume. What I have found is when using social media, we need to understand that social media is a community, not a billboard. In this, I have found that it is absolutely critical that we respect the 80/20 guideline. What is the 80/20 guideline? When sending a tweet or posting a comment on your Facebook wall, 80% of your messages should be relational. The other 20% should be informational. It is of my opinion that too many organizations out there have this reversed. When 8 out of 10 messages you send out are informational, that more than likely will lead one down a path to be a part of that statistic that made unfriend, the word of the year. Quite frankly, it is how you use that 80% of your messages that will or will not, buy you the relational capital to effectively launch the other 20% of your informational messages. Otherwise, you have become noise to the community and in this community, noise = being a constant billboard. In the old world, this was spam, now, it’s the same thing, just a different look. I won’t go into too much depth here but to say how critical it is to be relevant within your target community. When I say relevant, I am not saying it within the context of how some of us try way too hard to look and speak relevant when it is obvious that we don’t even have a clue. This is a lesson I am trying very hard to embrace right now as my daughter enters junior high. Sometimes I just try way too hard to be relevant to her and her friends that I end up looking like a complete idiot. However, in this case, when I speak of being relevant, I mean be in tune to the conversation that community is having and then engage accordingly. Recently, I was working on a Facebook page I am managing for an organization that is aimed towards educating people on the Godly heritage of our nation. I was super-stoked to have just posted a SKYPE interview with a sitting senator answering a question one of our Facebook followers had asked. No sooner did I post that interview, did someone post a comment that wasn’t a comment, but a billboard for their weight loss program. Being an administrator for the site, I was able to remove that comment simply because it was entirely not relevant to the discussion and quite frankly burned up whatever capital was there for this person to peddle their goods. Simply put, it was the wrong place, wrong time, wrong strategy and unfortunately, if they continue this, it will cost them dearly in this new world. I love this idea. However, because we live in a ME culture, it is so hard to effectively and consistently execute. I mentioned earlier the Fire Bible experience I had in Tulsa. Quite frankly, this experience birthed this whole concept of the less it is about you, the more it will become about you. Hopefully by now, you clearly understand the importance of the previous points. However, even still, we get too easily hung up in not understanding the part that says social media is a community and that means… it is a dialogue, not a monologue. I engaged with them. I responded to their tweets when they were not just directed towards me. This means, I actually read their tweets or their Facebook updates. Does how you use social media look like a dialogue with a community or does it simply look like a discussion with yourself? If it looks like a discussion with yourself, you are completely missing the point of this new medium. Imagine if a brand, company, or cause actually read the messages their followers were posting. Now, imagine what it would feel like if you were one of those followers posting a message and you received a comment from that brand, company, or cause that was relevant to your post? Are you kidding me? That would be incredible and I promise you this… I would tell everybody I know. Now, that doesn’t mean you have to sit at your computer 24/7 and post comments on others posts every time something new was posted. But, a little bit of this and a little bit of that can go a long way to sending a message to your followers that you also… value them and their lives. Being relevant 2.0: Just because you are on Facebook or Twitter doesn’t mean you are relevant. It’s how you use them that will make you relevant within your community. I love this part of the dialogue because it has the potential of blowing open your current platform and leading you to a much wider influence within your community. What I mean with this is that we all have a product or brand to sell, but, what if what we offered was much more beyond that brand? In my recent workshop on the Mindset of Social Media for bookstores, I walked through many of these points. 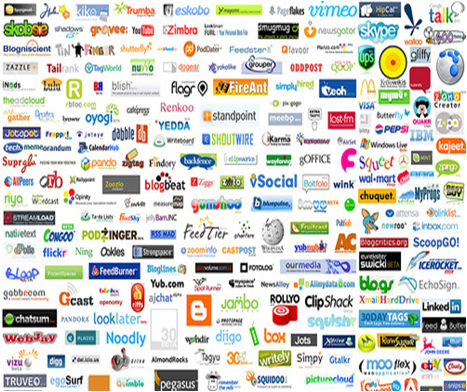 I also walked through some overview of the top social networking platforms. And it was then that I threw the curveball. I launched into statistics that touched upon an epidemic communities across our nation are facing. The issue was fatherlessness. What if we used our platform to tackle this issue? What if we didn’t just sell this book, but used the tools of social media to impact locally, the topic discussed in the book? Can you imagine the new friends we would make within our community by simple using our social media feeds to also engage local leaders while educating the general public on this sad epidemic? Essentially, you are making that book come alive, jump off of the shelf, (where if it is even on the shelf, it is probably spine out) and maybe just maybe… become not just a sale, but a movement. Probably the best compliment I received for that workshop was one that I stumbled upon while reading an article someone sent me that was on the workshop. At the bottom of the article, someone who attended it posted a comment that said they immediately went and pre-ordered 10 copies of the book, for them personally. In this, I have a good feeling they understood the opportunity that stood before them. Social Media was not just another tool they could harness to re-position themselves in a softer market, it was also a new tool for them to use to reach and impact a wider one. But, to do so, one needs to clearly understand the rules of engagement. In the past, we seemed to spend more money (via advertising) on hunting for new customers, when all the while, we probably could have spent that money on cultivating our current customers, which would have led to reaching new customers via word of mouth and increased customer satisfaction. With social media, here’s our chance to cultivate and, if we do this right, the power of viral strategies just may lead us to a whole new group of customers. And in this, a whole new bright outlook on the future. Next Next post: Stop wasting your advertising dollars! Great input– thanks for sharing your valuable experiences in such a clear way! Thank you for the preview. Very engaging. Some of it sounds too familiar in terms of people tuning out attempts to reach them with traditional methods. Looks like time to change my thinking or get left behind. Way to go Gunnar! Cultivate the current customers and the rest will follow (word of mouth is powerful). Great read! Good stuff Gunnar. Nothing supports the “it’s not about you” mentality more than what you are trying to accomplish with Fatherless Generation. Thanks for posting this.